Baaghi 2 First Look Movie Poster. Trailer Releases Tomorrow. Here is presenting official movie poster of Baaghi 2 starring Tiger Shroff and Disha Patani. Tiger Shroff is back in action avatar again as Ronnie. This time his lady love is Disha Patani in the film. Baaghi was a big HIT and expectation are even bigger from Baaghi 2. 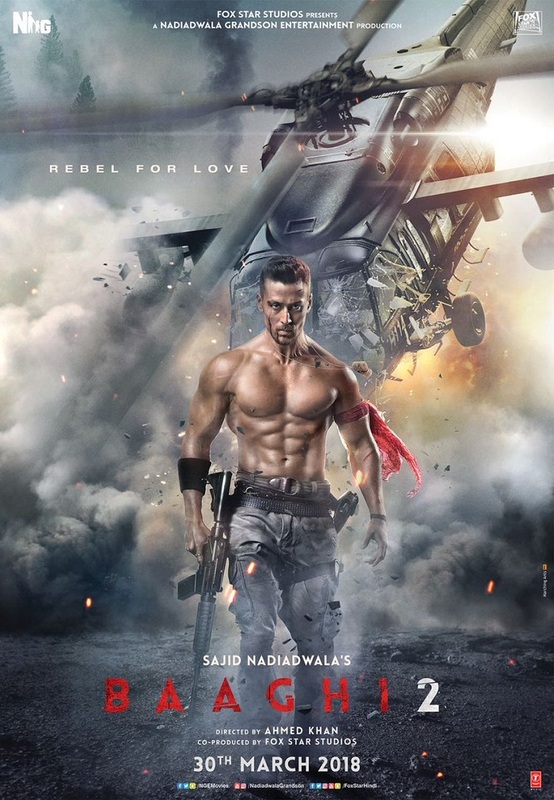 Baaghi 2 is directed by Ahmed Khan and produced by Sajid Nadiadwala. Film is slated for release on 30th March, 2018. Baaghi 2 trailer will release tomorrow with much fan fare. A grand event is planned for the trailer launch.